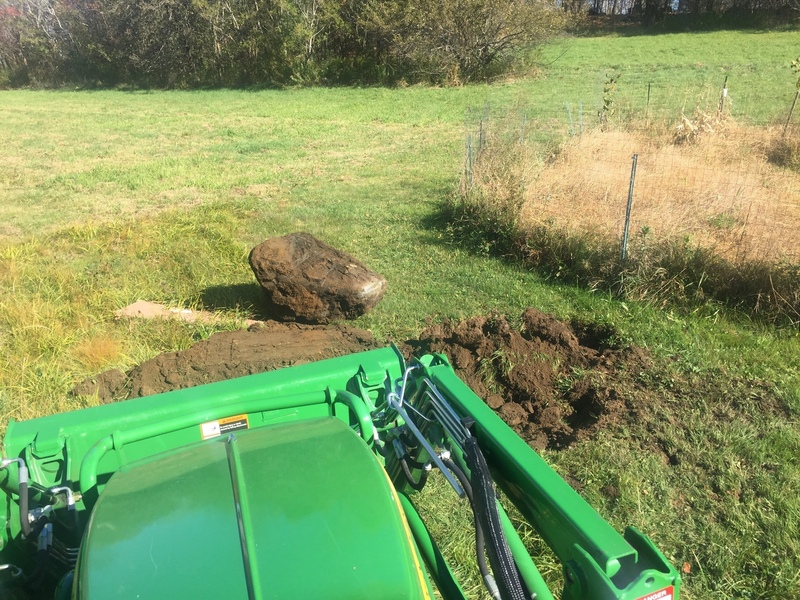 I’ve been hitting a bunch of rocks with the mowers all Summer long. A few minutes with a tractor are all it takes to pop them out. I’m very happy to see these guys go. Except one which is too massive to go anywhere, I just put the soil back on it and pretended like nothing happened.